PM Dr Manmohan Singh is on his visit to the US to attend the UN General Meeting in New York.He had a word with President Obama regarding continued terror attack on India. 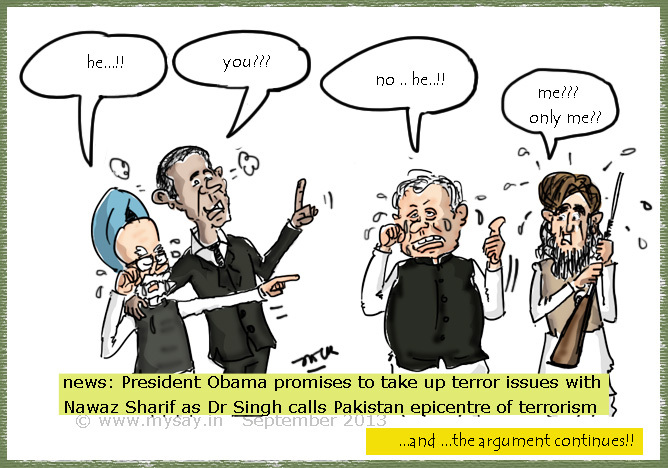 Dr Singh claimed Pakistan remained the epicentre of terrorism and President Obama promised Dr Singh, ‘frank’ words with Pakistani PM, Nawaz Sharif,on the terror issue. Blame game continues….. Just a sorry state of affairs!